Make a Wise Move, Choose McCarley! At McCarley Moving & Storage, customer care and satisfaction is our primary goal. Since 1936, McCarley Moving & Storage has been moving people's household goods and family treasures. As one of the oldest United Van Lines agent in the Southeast, we have built a solid reputation for delivering high quality, excellent service. 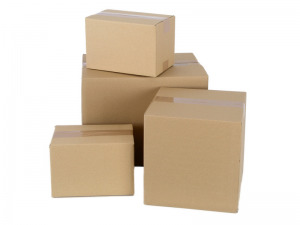 We make it our top priority to deliver efficient, worry free moving at a very affordable price. Each move is planned and coordinated according to each individuals needs. McCarley Moving & Storage has a large fleet of clean, sanitized and fully-equipped moving vans. We have trained, courteous personnel and a reputation for quality in our industry. McCarley Moving & Storage can be trusted to handle your move quickly, efficiently, safely, and of course economically. McCarley Moving & Storage Co. is licensed and insured for your peace of mind. The McCarley Moving team looks forward to helping you make your move an easy-going process, and that is what this website is all about: Helping you plan your move. McCarley Moving & Storage Inc.